Learning how to attract fish is quite a fascinating pursuit on more than one level. Firstly, I think it appeals to one of our most basic instincts, namely to go out and procure something to eat. That urge must be so hard-wired into our DNA that even trying to deny it would prove to be a futile exercise. Secondly it involves another basic human trait, as far as I’m concerned, which is the desire to outwit a foe. Make no mistake, this quest also evolved as part of our evolutionary biology and still remains one of our main driving forces. Thirdly I think most humans are intrigued by various gadgets and devices. 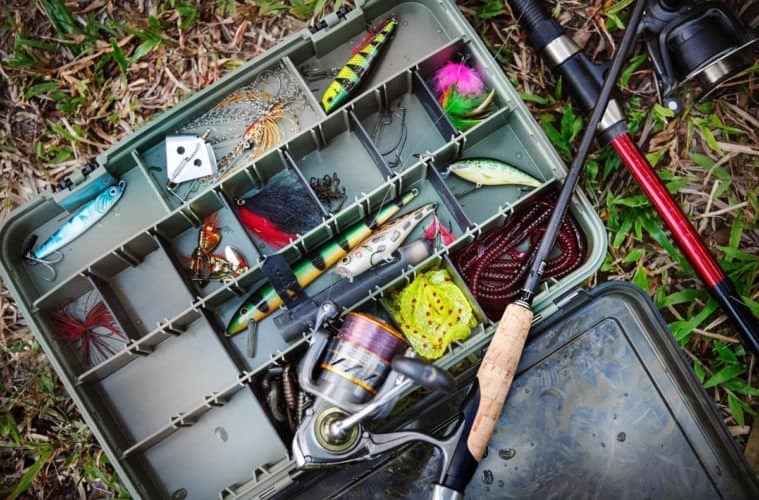 Fishing provides ample scope for acquiring a vast array of equipment, tools and obscure items in order to be a more successful angler. Now, quite a few of these items are obviously essential in order to catch a fish. However, there is also a host of others which are, in my opinion, designed to catch more anglers than fish! In this article I want to take a look at what attract fish to the various offerings presented to them by anglers from all over the world. Hopefully this will give you a better insight into how fish perceive their environment and what are priorities to them either when they are feeding or fleeing. A good starting point seems to be which of their sensory organs fish use when they are actively looking for something to eat. The five major senses of fish (that we are aware of) seem to be: Vision, Chemoreception (Smell), Pressure detection, Hearing, and Current detection. I will only focus on the first four for the purposes of this article. Like with humans, vision is very important for most fish species and their eyes are quite similar to mammals and birds albeit it with more spherical lenses. It appears that most species have colour vision with some even observing ultraviolet and polarized light. One has to remember that fish live in a different light environment compared to land-based species. Water absorbs light and the amount of light decreases rapidly the further you descend into the depths. Because of the unique features of water density, different wavelengths of light are absorbed to different degrees. Therefore light of long wavelengths (e.g. red, orange) is absorbed quite quickly compared to light of short wavelengths (blue, violet), though ultraviolet light (an even shorter wavelength than blue) is absorbed pretty quickly as well. Not only that, but the concentration of salt and other chemicals may also influence the amount of light being absorbed in water. The arguments around which colours for artificial lures work best for which species under which conditions is an ongoing debate which will, in all probability, not be resolved any time soon. Therefore I am just going to give you my personal opinion on these matters and, if there are some of you out there agreeing with me, just call me a genius! If however, you disagree with my point of view, please leave a comment in the space provided. As pointed out, when light enters the water it becomes scattered or absorbed, depending on its colour, which can cause the light intensity to decrease as well as a change in colour. If we first take a look at poppers and various top water lures for predator species, both in freshwater and the sea, a popular colour combination seems to be white with red markings in the front area. Apparently that gives the impression of either the flashing gills of a fleeing bait fish, or one that has been mortally wounded and ready to be dispatched. Whatever the reasoning, I also like this pattern and can comfortable recommend it. Quite a number of other lures and/or metal spoons display at least one shiny side. Again, and depending on the movement in water of that particular lure, sunlight reflecting from a certain angle can create the same illusion as that of a baitfish scampering for a safe space. Most fish species have evolved a certain colour combination (light on the belly, dark on top) to give a certain amount of protection against the eyes of hungry predators. However, in a moment of panic the shape and pattern of the scales on their sides can flash like a mirror if they make an abrupt turn – often the last movement of their lives. When trout fishing there is furthermore the belief that you use light coloured flies on sunny, cloudless days when a lot of sunlight penetrates the water and dark or somber colour flies on overcast or rainy days. The reason for this is that dark colours give a better silhouette and are easier to detect in low light conditions. Personally I haven’t got a problem with this either, but I have to emphasize that I consider the right type of fly of greater importance. “Type” in this instance includes both the general shape of its natural food as well as the size of the fly. Although lacking visible ears (like most mammal species, for example) hearing is a very important sensory system for most fish species and quite well-developed in some, for example carp. Under water the speed of sound is faster than in air and the ability to localize the source of sounds are greatly reduced underwater. The hearing organs of fish are called otoliths which are located inside their heads. Fish living amongst highly structured habitats such as reefs or rocky bottoms will have larger otoliths than fish that spend most of their time swimming at high speed in straight lines in the open ocean. When a sound wave passes through the water, the vibrations from the sound wave hit the fish and make the otoliths vibrate so that the fish can hear. As the fish gets older, the otoliths get bigger, and grow in layers just like the rings on a tree. By counting the layers on an otolith, scientist can also determine the age of that specific fish. Certain artificial crank baits have a type of rattler inside which makes an audible noise while being retrieved. Apparently this enhances the desirability of that specific lure due to the effect on the hearing ability of a fish. Tasting is to fish what smelling is to land based animals. It is well known that salmon have a very strong sense of smell due to the fact that they can detect chemicals unique to the streams where they were born. This enables them to home in on those little creeks and streams on the final stretch of their epic journeys which start out in the vastness of the ocean. There are various catfish species who harbor chemo-receptors all over their bodies. The result is that they can smell (or taste) anything they come into physical contact with; especially the chemicals a specific item is made of. Carp can also detect a wide variety of chemicals and substances which are dissolved in the water. In their mouth regions they have appendages called barbules to assist them in this quest. These barbules are highly sensitive and tuned in to recognize whether specific items have nutritional value or not. Due to the fact that carp have such a plethora of substance detecting organs, they can be targeted with a wide variety of baits, providing those baits contain the essential nutrients they hone in on. That is also why preparing ground bait before starting to fish can be so effective when targeting carp. As a basis for this ground bait you can use common old white bread. Next you can choose between ingredients such as dog pellets, fish pellets or any other type of protein based pet food. Mix these with the bread and knee into balls about the size of golf balls. Once you have identified your fishing area, you then proceed by lobbing these bait balls into the water. This should be done at least an hour before commencing fishing. The slowly dissolving “taste bombs” will gradually release their contents thereby attracting feeding carp. Once they have been attracted to that specific area your hook up rate will increase exponentially. The same method can be applied when fishing from jetties or harbour walls targeting marine species like mullet. In this case sardines can be mashed into the bread and cast into the area you want to fish. Just make sure there are not too strong currents present otherwise your bait slick will be swept from your fishing area taking your target species with it! All fish species possess a lateral line. It is a visual organ on each side of a fish’s body and runs along each side of its body from the gill covers to the base of the tail. This organ can detect vibrations as well as pressure changes in the immediate vicinity of its owner. Not only does it help a fish forming part of a school to maintain its relative position with regards to its near neighbours, it also helps in in orientation and procuring food. A prey species in distress or some smaller fish trying to exit in haste give off certain signals that alert predator species. In order for a predatory species to hunt successfully, the vibrations made by potential prey need to be detected as well as located correctly. This will enable the predator to orientate itself with regards to the prey in order to eventually launch an attack. When it comes to appealing to this specific sensory organ of fish there is a bewildering array of artificial lures covering a wide range of species to choose from. Most of them, naturally, focus on attracting predatory species. In bass fishing you get categories like spinner baits, crankbaits and poppers which all have a common denominator in that they replace water, thereby creating vibrations and/or mini shock waves which can be picked up by the lateral line of the fish. Spinner baits are fairly simple constructions consisting of a little blade spinning around a cylindrical body whereas crankbaits have either bent shapes or extended “lips” to enhance their movements. If you move over to an oceanic environment the same basic principles apply here. However, the sizes of the both the target species and the artificial lures may increase dramatically. Some of the lures being trolled behind marlin boats exceed 30 cm and, more often than not, a host of them are trolled in the wake of a boat. Just think about the attack on the sensory organs of the target species! We have briefly looked at the aspects which enable us to attract more fish to our humble offerings. At the same token I want to raise a few points regarding things we, as anglers, should be beware of, especially in view of the acute sensory organs of fish. Firstly, make sure your hands are free of any access oil, soap, lubricants or any other chemicals that may alert fish before you touch hooks, lures or bait. When I used to go rock or surf fishing, one of my rituals, the moment I hit the beach, was to grab a handful of wet sand and give my hands a thorough rub. During my high school years I used to go boat fishing on an estuarine river with some friends of mine in the Eastern Cape. The one chap always insisted to operate the outboard engine to get us to our fishing spot and, lo and behold, most of the times he didn’t even get a bite while the rest of us caught fish consistently. After a couple of outings on the river I ventured my theory regarding his lack of success and boy, was he devastated! It is furthermore good practice to approach very cautiously and tread lightly when approaching a relative small body of water, like a pond. Any excess noise or heavy treading on the bank can potentially put your intended target on the alert. In addition to this, always try and keep a low profile as far as possible in order to avoid visual detection, especially during bright, sunny days when sunlight penetration is at its highest. At all times try to keep the human profile below the horizon to blend in with the surroundings and when you are moving around, make sure your movements are slow and deliberate. I am definitely no expert on exactly how well fish can distinguish between different colours, but I prefer wearing drab clothing when going fishing. It just makes common sense to me. Well folks, there you have it. Some musings on the sensory abilities of fish that I have experienced firsthand. Like I said, you may agree or disagree with some of them, but if you do so, please feel free to air your views here. Whatever your views, it cannot be denied that fish, although they live in a totally different environment than us, are just as dependant on their sensory organs for their survival, if not more. I would therefore strongly advise that you take note of these abilities and use them to your advantage. Even some minor adjustments to your current strategy may yield surprising results. Tight lines!